Hello and welcome to Kahuna Ki'i Photography and my photo sharing presence on SmugMug. 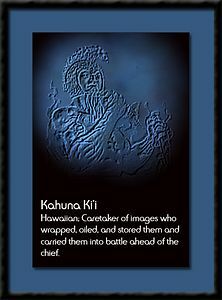 Kahuna Ki'i is Hawaiian for "caretaker of images" and this is my humble attempt to share my images with you. Take a look around and if you like what you see, please feel free to leave me a comment and sign my guest book.